A priest who comes under suspicion for murder cannot clear his name without breaking the seal of the confessional. I Confess appears in an aspect ratio of 1.37:1 on this Blu-ray Disc. The movie boasted an excellent transfer. Definition seemed strong, as I saw very little softness. Instead, the vast majority of the flick looked tight and concise. I saw no shimmering or jaggies, and edge haloes remained absent. With a nice layer of natural grain, I suspected no digital noise reduction, and print flaws failed to cause distractions. Blacks were dark and tight, and contrast gave the movie a nice silvery tone. Low-light shots appeared smooth and distinctive, with good clarity. I felt wholly impressed by this terrific presentation. Though not as good, I thought the DTS-HD MA monaural soundtrack of I Confess seemed fine for its age. Speech tended to sound a little thin and tinny, but the lines were perfectly intelligible at all times. Music appeared somewhat decent. The score lacked much heft, but the music still appeared fine overall. Effects didn’t have a lot to do, but they were acceptable. Those elements failed to present much range, but they were fairly clean. This never became a great mix, but it lived up to expectations. How does the Blu-ray compare to the DVD from 2009? Audio was a bit more robust, but there wasn’t a lot of room for improvement given the age of the material. On the other hands, visuals demonstrated significant improvements. The Blu-ray provided much better definition along with a cleaner, smoother image. The Blu-ray blew away the DVD. 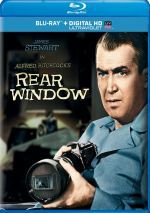 The Blu-ray replicates the DVD’s extras, and the main attraction comes from a featurette entitled Hitchcock’s Confession: A Look at I Confess. In this 20-minute, 43-second show, we hear from filmmaker Peter Bogdanovich, Hitchcock at Work author Bill Krohn, film historians Robert Osborne and Richard Schickel, Montgomery Clift’s friend Jack Larson, and Hitchcock’s daughter Pat. “Confession” examines the film’s story, development and themes, the impact of the era’s production code, various filmmaking techniques and locations, cast and performances, and the flick’s reception. In addition to the film’s trailer, we find newsreel footage. This 59-second clip shows Anne Baxter and Alfred Hitchcock at the film’s Canadian premiere. It’s a nice historical curiosity. While Hitchcock was indisputably a master filmmaker, it’s certainly clear that even he had a second class – and even a third class - of films. I Confess is one of his movies that is fairly classified on that “B” tier. 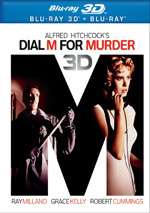 The Blu-ray presents excellent visuals and fairly good audio but it lacks significant supplements. While I’d like better bonus materials, the stunning transfer makes this release a winner.